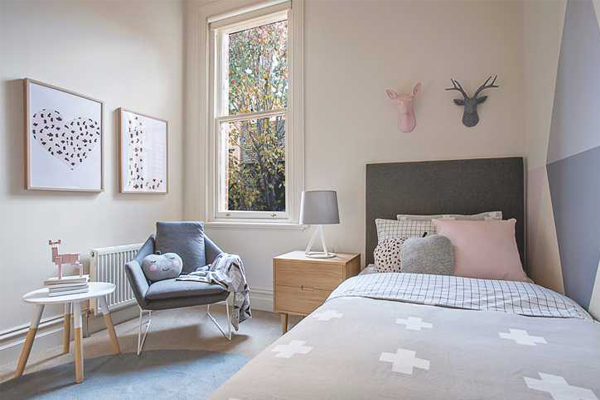 So we are moving into the final weeks of our home renovation guide, and this week its all about the kids. 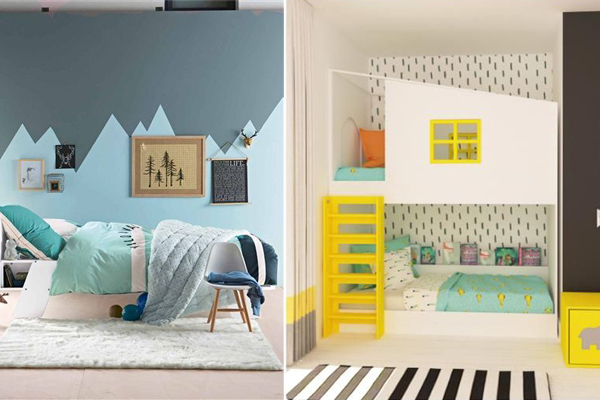 It is really important to give your child a space that stimulates them but also is calm and relaxing. 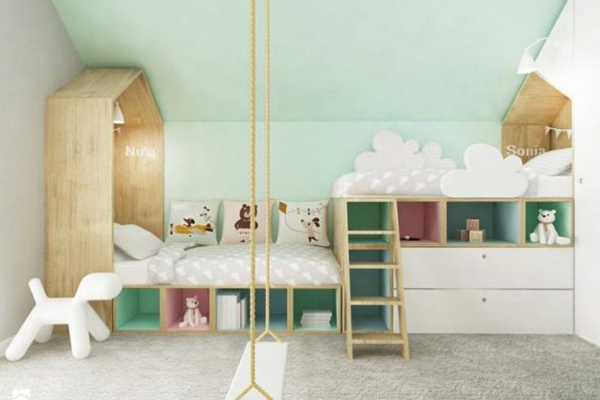 Yes this may sound contradictory but selecting the correct colour scheme and zoning the space will all help to create an amazing bedroom for your little ones. Here is some amazing inspiration to get you thinking…. 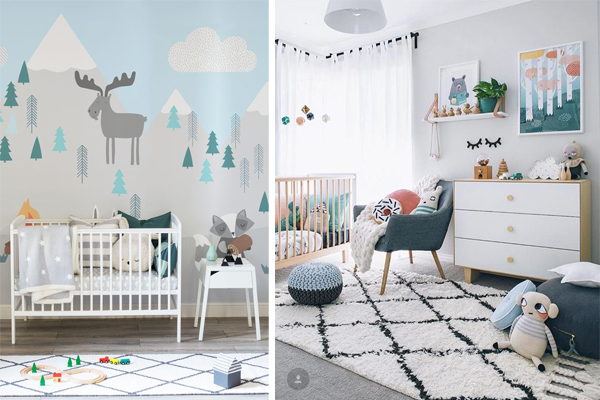 I’m a big fan of keeping your nursery gender neutral and letting them decide on their favourite colours as they get older. 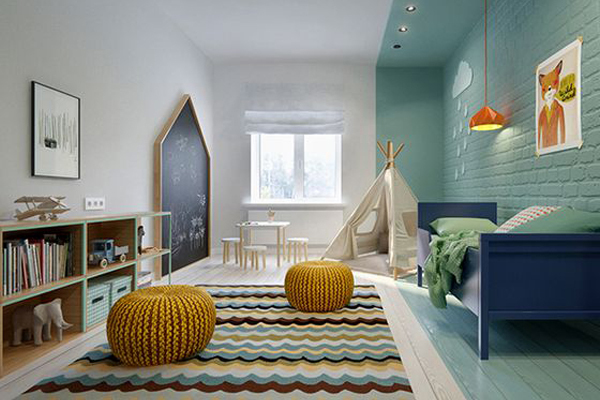 Mixing colours and textures makes for a really lovely space that they can grow into. Creating spaces that they can explore and interact with is a really great concept for your little ones. It gets them excited about their own space and spend more time in it. 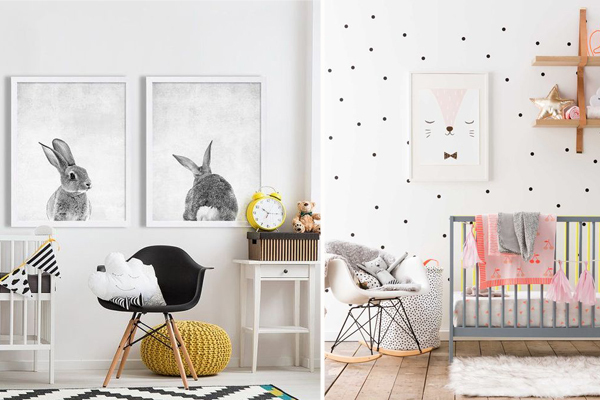 Whether you decide to go down the road of a bespoke bed or just add free standing elements, such as the tepee or blackboard, both of these elements are equally impactful and your kids will love them. 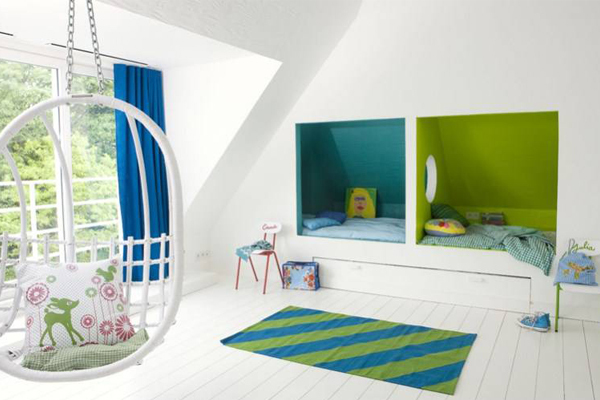 The below image is a really great idea of you have converted your attic space or have dormer rooms in your house. It is a great us of space to build the beds into the lower head height space and its super fun. As your child gets older, it is even more important that they do have their own space and that they are comfortable in it. 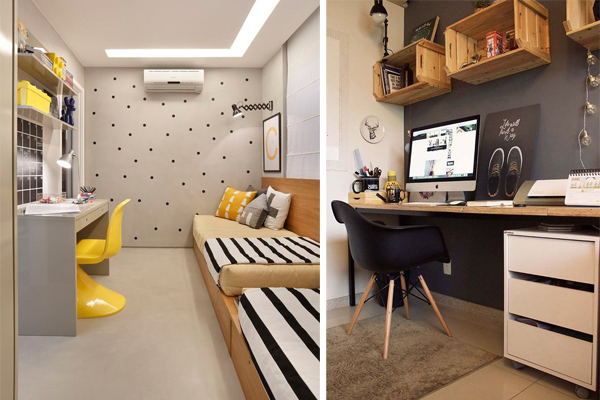 There style will also become more evident and their room should express this. 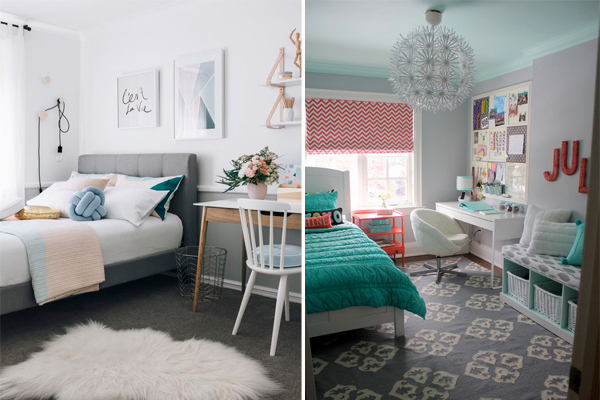 Creating zones is still a good way to approach the design of their bedrooms, allowing for sleep, study and chill out time. Remember that this is their space, and while yes you are paying for it, they need to put their own stamp on this one.